Bringing you the best selection in farming equipment, we are all you'll need for the basics. Among our incredible choice of products, we have essential hardware for farming, and key dairy supplies for the care of your cattle, yard and parlour. For the smooth running of your dairy, supplies from chemicals, fly control treatments and equipment are all available from our online store. Kilco has a comprehensive range of products for the cleaning and sterilisation of your parlour facilities. Kilco has an effective solution for the prevention and removal of milk stone deposits as well as the full range of teat dips, sterilisation products for the pipeline & tank. Approved by the Health and Safety Executive, the Dairy Fly Spray from Battles brings down all flying insects due to its pyrethrin content. Essential for the control of mastitis and reducing bacterial cell counts in milk, Battles' Dairy Fly Spray kills flies, mosquitoes, wasps, flying ants and more. This is a great all round fly killer for all farmyard buildings. This is only one of many products in this area including the Pelgar Vulcan knock down spray. For monitoring cell counts, we have the California Mastitis Test Kit. This includes testing solution, a four quarter paddle in which to place the solution, and for adding milk for testing. The results appear very quickly, and will show the stage that the mastitis is at, if it appears at all. Both the mastitis paddle and solution is also available separately. We can also provide you with dairy supplies such as parlour wear. You will find neoprene parlour tops and trousers, designed for use in dairies, and other environments that involve working closely with animals. 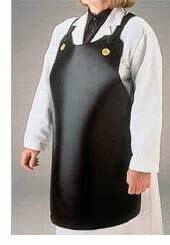 Resistant to chemicals and oils is the neoprene apron in classic black for factory and farming use. The new Kilco apron with front pouch for teat wipes is also available. An essential for reducing time taken to wipe and releasing one hand from the process. With these, and many more products besides, our range of dairy supplies, accessories and treatments provide great coverage to help you run your dairy herd operation effectively. Take a look through our broad selection of essential items for all facets of farming and agriculture.